3M NaCl is used as an internal solution. 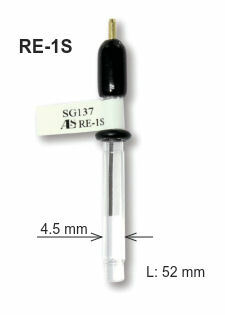 This is the standard type of aqueous reference electrode. ∗ The reference potential is the measured value using RHEK reversible hydrogen electrode kit (Cat. No. 013597). Small size for the standard type (RE-1B). Aqueous reference electrode with a saturated KCl as an internal solution. Material: Polymethylpentene is used, because of the excellent chemical resistance characteristics. 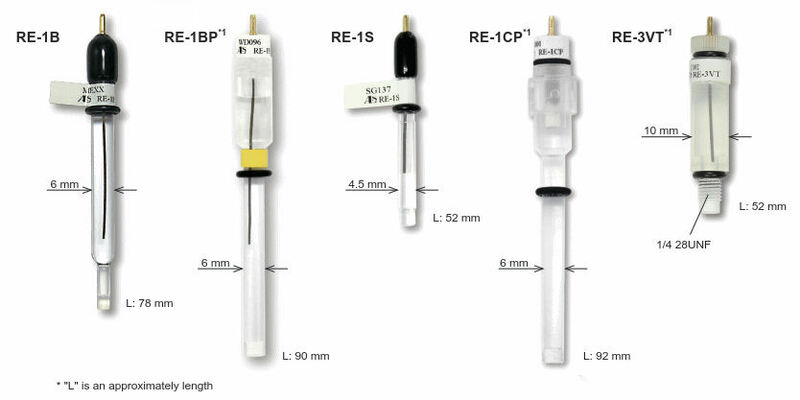 Aqueous reference electrode specific for ALS line-up flow cell, as Cross flow cell, Radial flow cell, EQCM flow cell and SEC-2F Spectroelectrochemical flow cell. 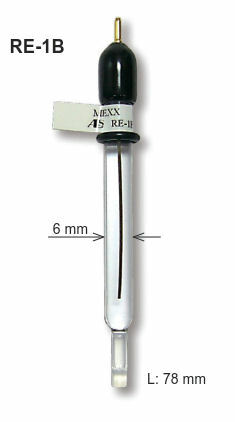 For the screw type electrode, the body in PEEK material is also available. ∗ Keep the reference electrode in a cold dark place. ∗ Take care when you open and unseal the electrode. The liquid junction tip could be taken out when you pull the black protector. 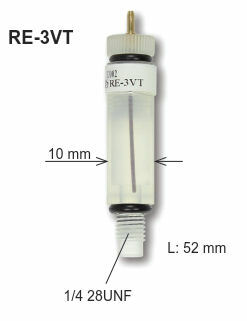 ∗ RE-3VT is specific for ALS line up flow cell, it could be incompatible with other brand flow cell.